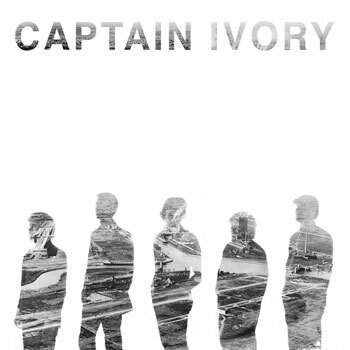 Captain Ivory is a five-piece indie rock band that combines soaring, high-energy vocals with greasy guitar licks, and a rhythm section that’ll have your foot tapping before you know it. Combine this all with soulful songwriting and delivery, and you get a genre-busting rock n’ roll sound bound to have you reaching for the volume dial. With a focus on developing a strong web-presence and playing high-value live shows both in and out of state, the group has made remarkable progress since it’s inception in 2012, and is quickly growing it’s presence in the midwest rock scene. After a solid year of extensive writing, gigging, and refining their catalog of original music, the group hit their stride and enlisted Dave Feeny & Tempermill Studios to record & produce their debut album. With an early 2014 release of the self-titled album on Gangplank Records, Captain Ivory forges ahead with a ramped up tour schedule & a goal to inject a little Motor City Soul into your rock n’ roll listening.